Will SA wine ever be a great investment? You’re hanging with the right crowd when you got to taste the 1998, 2002, 2005 and 2006 vintages of the Shiraz from legendary Clare Valley, South Australia property Wendouree – David Clarke, of Australian extraction and owner of the local Ex Animo wine agency, had assembled these wines as way of facilitating some “cultural exchange” and very striking they were, too. From super-old vines, one thing particularly remarkable about them was the density of both fruit and tannins. What should also be noted is that these wines are highly tradeable on the secondary market: Those lucky enough to get an allocation via mail order now pay around A$45 (or approximately R450) a bottle while older vintages such as we tasted go for around A$200 (R2000) a bottle on the secondary market. Will a meaningful secondary market for SA fine wine ever emerge? At last year’s Nederburg Auction, white wine received an average price of R330 per bottle and red wine R637. Which isn’t terribly high. The minimum age entry requirements for this year’s event are six years and older for red, fortified and sweet wines and three years and older for whites and MCC – which isn’t terribly old – and the total amount of wine on sale is some 7 000 litres (less than 800 six-bottle cases) which isn’t terribly much. 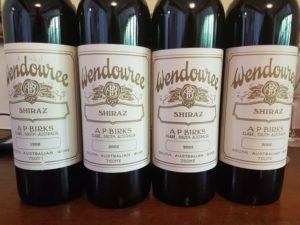 After attending the auction preview, I thought the overall line-up of wines was no more than passable, while the most desirable wines seemed under-valued. Vergelegen G.V.B. White 2013 was undoubtedly the stand-out wine of the tasting – absolutely world-class. There are 10 six-bottle cases available, one lot of five cases, one of three and one of two – reserve price per case of R1 800 (equivalent of R300 per bottle). This has to be considered massively under-valued when you consider the following average prices per bottle for comparable Bordeaux – Domaine de Chevalier Blanc 2013 at R1 166, Smith Haut Lafite Blanc 2013 at R1 357 and Haut-Brion Blanc 2013 at R12 936 (according to wine-searcher.com). In the meantime, retailer Wine Cellar launched the 2015 Vintage Investment Portfolio, a five-year closed investment, each VIP unit comprising of 43 x 6-bottle cases of 22 wines from 16 top producers, the minimum investment being one unit valued at R100 000 and only 60 units available. The offering sold out quickly but nevertheless attracted criticism on social media, leading international commentator Jamie Goode being moved to say on Twitter: “You’d be bonkers to invest in South African wine. No secondary market, no fluidity. Very few develop positively with extended ageing (see thread here)”. Perhaps the biggest problem right now when it comes to the establishment of a secondary market is that quite a few of our most exciting wines are being made in comically small volumes. Rall Ava Syrah 2017 and Savage The Girl Next Door Syrah 2017 have both rated 97 points on this site but total production of the former was 900 bottles and of the latter 760 bottles – we’ll never find out what these wines sell for in 15 or 20 years’ time as there won’t be any left. Punters also need to be more pragmatic – the single-vineyard wines from super-star Chris Alheit inevitably sell out on release while the bigger-volume but nonetheless excellent Cartology remains available for much longer, for instance. Surely the only answer is that we don’t know, but judging by many other global wine regions, there could be potential. From that alone, we should encourage it’s development. Idealistic as this might sound, often in wine consumer confidence is regularly more important that reality itself. Have to say I agree with Jamie Goode. Wealthy individuals who horde wines and don’t drink them mean there’s less for us that do and also artificially inflates the market value. 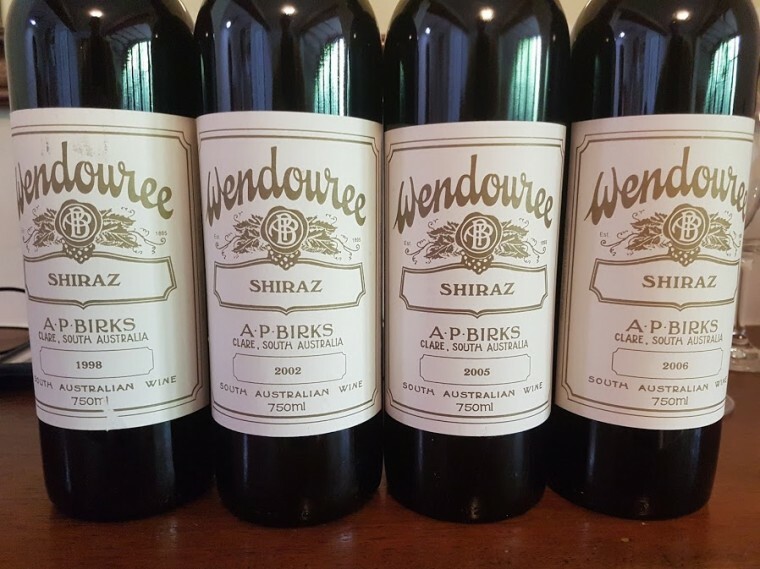 In any case I have a very collectible wine I have bene trying to sell for ages and have found it impossible to find buyers even though its been well stored, is in original condition (so box etc.) and is very reasonably priced. So it would appear that the comments about secondary market are somewhat accurate.